Package of 10 Lynx Leveling Blocks are dependable and versatile. Comes with a handy nylon carrying case to hold levers when not in use. 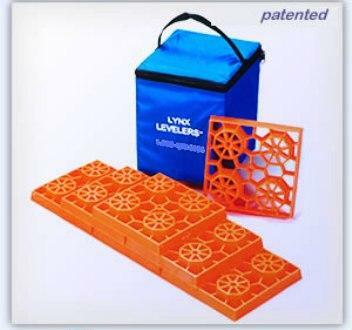 Block Dimensions: 8.5" x 8.5" x 1.5"
Go to top of this Lynx RV Leveling Blocks, Pkg of 10 page.